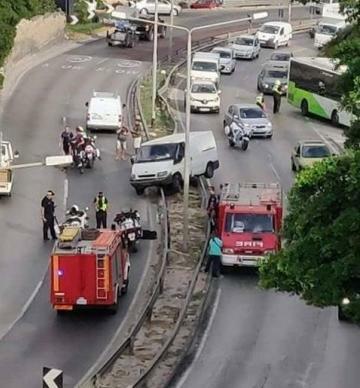 A van crashed into a central strip on Regional Road on Friday morning, forcing police to close one lane to traffic and delaying morning commutes. 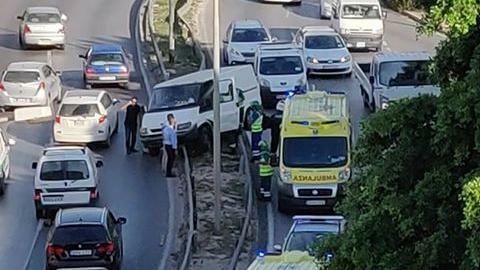 The van was being driven in the direction of the Santa Venera tunnels when its driver lost control and crashed through two sets of steel barriers. Police, an ambulance and the Civil Protection Department were all called to the scene. The incident caused traffic tailbacks in both directions of the key thoroughfare. No information about the driver's medical condition was available at the time of writing.